The Lighthouse Project started in 2007 with an idea of conducting a carbon audit along the lines of the then Catholic Earthcare program. After extensive consultation with all groups in the Parish in 2008 and 2009, the Social Justice Ecology and Peace Group (SJEP) decided to broaden the initiative to a year-long program of events to raise awareness of the ecology and faith connection and encourage action towards environmental sustainability, reflecting the Church’s teaching on the need for Environmental Conversion. Parishioners attended a reflective and planning workshop assisted by the ‘The Sound of Many Waters’ Program in Bristol and Catholic Earthcare’s audit program “On Holy Ground”. An interim report was produced and a core group appointed to progress the initiative. The result was the “Lighthouse Project” – a year-long calendar of events to celebrate through action, prayer, fun, and reflection our need to care for our environment. 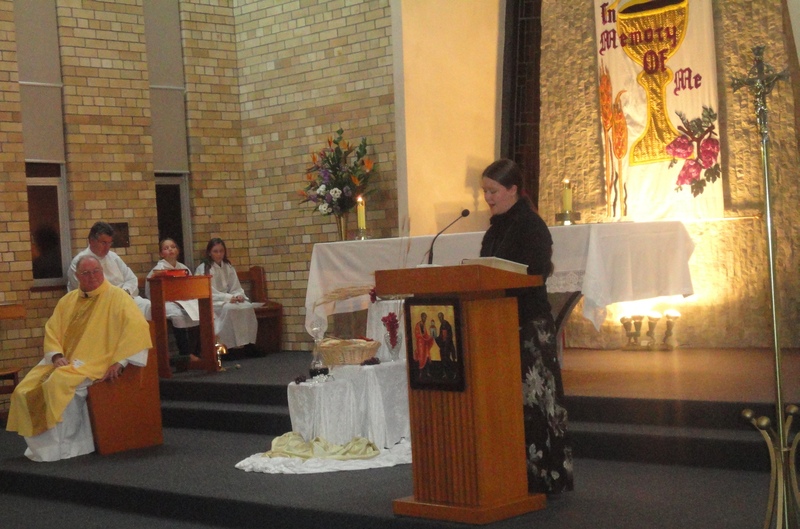 The project was launched, with the full support of our priests, on the Feast of St Francis of Assisi, on 4 October 2009, with a blessing of the animals at the parish church as part of a regular liturgy, and will conclude with a musical celebration in October 2010. The group also obtained broad sponsorship for the project from the ACF, NCC, WWF, Wollongong Diocese, Kiama Council and Healthy Cities Illawarra. allocation of time to sustainable examples in living and food. The project kicked off on the Feast of St Francis of Assisi, Sunday the 4th of October 2009 with an outdoor mass and blessing of the animals. During the service the congregation gave thanks for the world in which we live, and looked to St Francis of Assisi for an example of love and respect for the environment as we face the challenges of our times. In November, we used a screening of the film “The End of Suburbia” followed by a slow food dinner to expose how our unsustainable lifestyles are underpinned by cheap oil. In November and April, creation walks were conducted along Love’s Bay Rock Escarpment where fossils and geology allowed participants to learn about the pre-historic Permian Period. “Dawn Chorus”, our Easter Sunday service on Kiama’s Surf Beach was a great success, using music, prayerful reflection and stillness to renew our relationships with the Risen Lord; with creation as a backdrop to the hope of Easter Dawn. This was an ecumenical event, and about 40 people attended. Other activities include a carbon audit, participation in the World Council of Churches Bell Ringing for Creation, regular prayers on ecological themes and photo exhibitions with local schools on the environment. Finally, a Bush Mass and Family Picnic is planned, before the year wraps up with ‘A journey in Song on the life of St Francis of Assisi’, an inspiring presentation by singer and song-writer Peter Kearney.